Dry roast coriander seeds and kasmiri red chilies on a tava and make a powder in the mixer. Let it cool and keep it a side. Take 1.5 tsp oil in a kadahi and when the oil is hot put cumin seeds in it. When the cumin seeds change color add garlic and stir fry it then add grated onion and cook till it becomes brown. Now add chopped tomatoes and green chilies and mix well and cook on a medium flame for 10 to 12 minutes or till the oil separates, while stirring occasionally. Add the prepared powder, sabzi masala,degi mirch,turmeric powder,salt,fengureek leaves, and tomato pure and cook a little more. Add 1 cup water and cook for 2 minutes. In a separate pan take 1 tbsp oil and add sliced onions and capsicum till the onions are translucent in color and add this to the prepared gravy. Add boiled diced mushrooms and fresh cream and cook for two minutes. Heat it at the time of serving and garnish with chopped coriander. 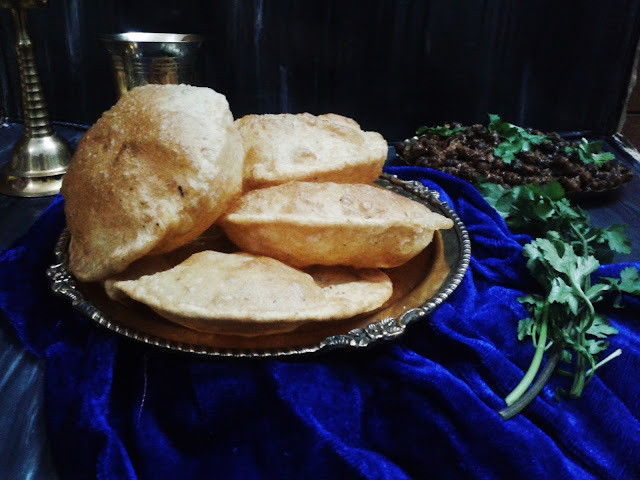 Serve alonng with naan or chapati. Heat ghee in a pan and add cumin seeds to it. 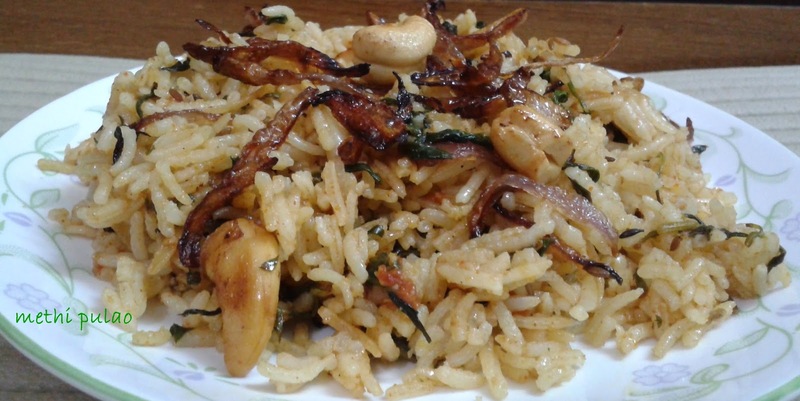 When they start to crackle add green cardamoms and then grated onions,grated ginger nd finely chopped garlic to it. Cook till they become light broown in color. Now add all the spices, fenugreek leaves and salt and stir for a while. Soak bread in water squeeze it and mix it in the above mixture and mix well. You may use bread crumbs either. Let it come to a boil then add boiled peas and cottage cheese and cook for 5-7 minutes. Finely add chopped coriander leaves , half of the cream and ketchup and mix well. Garnish with chopped coriander and cream and serve hot with rice or chapati. Now dust the balls with a little flour and roll them to make either round or oval shape (not very thin) naans. Sprinkle chopped galic over the naan and roll once again or sprinkle few drops of water on the rolled naan and then spread chopped garlic and lightly press it with your finger tips. Heat a tava or griddle and place the side with the garlic facing down on a hot tava/griddle, after one minute turn the side and cook from the other side as well, now pick it up with a tong and cook directly on gas flame turning sides. 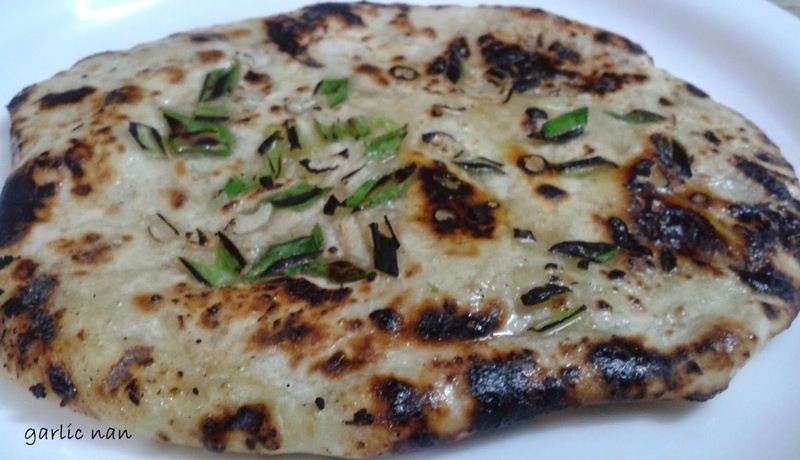 When it is cooked from both the sides remove it from flame and greese with butter or ghee. 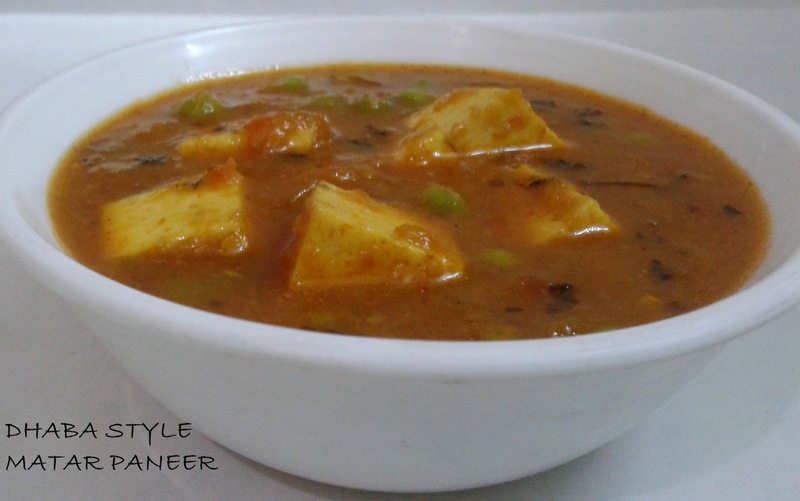 Serve hot with dal makhni , makhni gravy, chana pindi or any other vegetable of your choice. Peel ,wash and cut torai in desired shape. Keep aside. Now add torai and 1/2 cup water and close the lid of the pressure cooker. 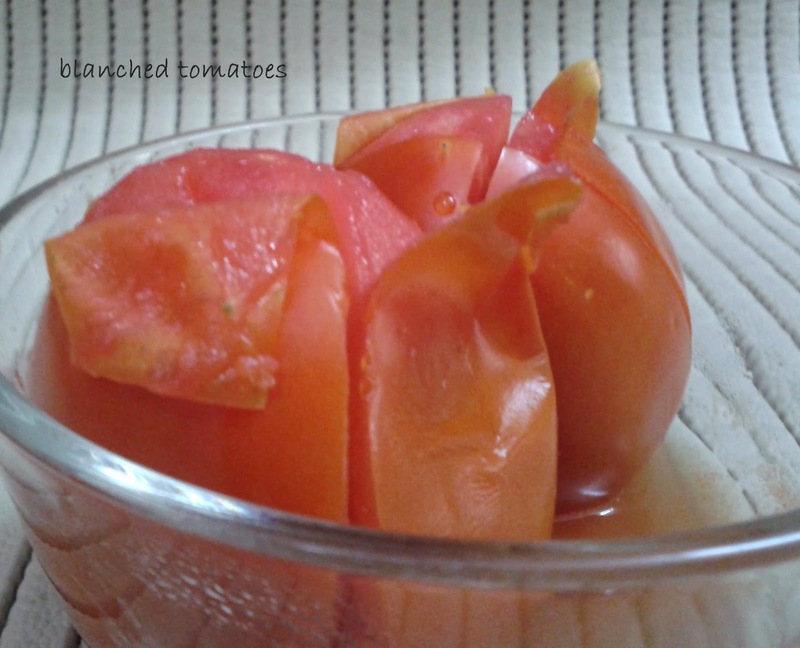 Pure tomatoes along with ginger in a mixer and keep aside. After two whistles switch off the gas and wait till the pressure releases. When the pressure releases add pureed tomato and again put the lid on for one more whistle. Garnish with coriander leaves and serve hot with chapati,rice or khichdi. 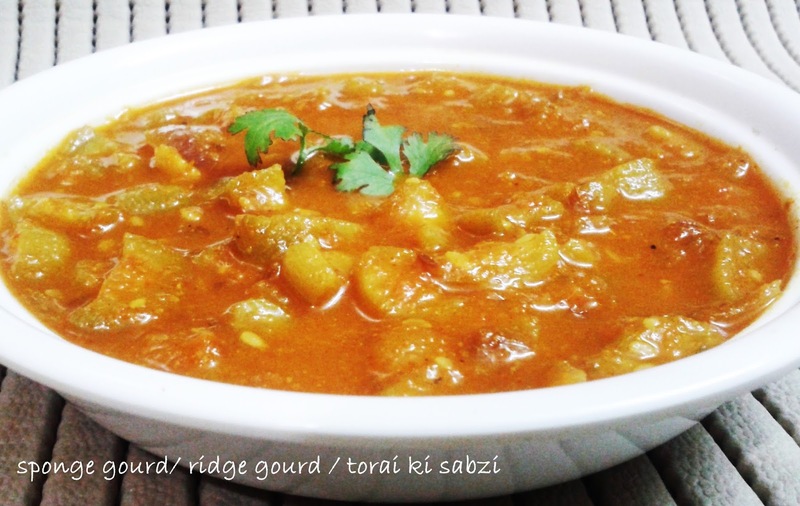 Curd along with torai makes an awesome combination. 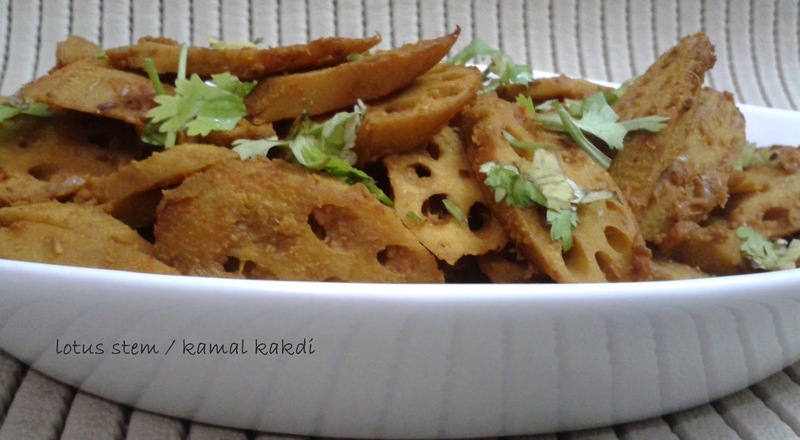 Peel lotus stem and cut in desired shape. Wash it thoroughly and put it in a pan, add 3-4 cup water and 1/2 tsp salt and boil it for 5-10 minutes or till it become tender. Heat oil in anoter pan and add cumin seeds, when they start to crackle add bhuna masala and rest of the spices and salt and mix well. Now add boiled lotus stem to this mixture and add 1/2 cup water and mix well. Keep the lid on and let it cook on low flame till it is done and the water evaporates. Finely add tomato ketchup (or 1/2 tsp amchoor powder + 1 tsp sugar) and mix well. Garnish with chopped coriander and serve hot with dal and chapati. Mash boiled potatoes and put them in a bowl. Add chopped coriander, and 1/4 tsp degi mirch powder, 1/4 tsp coriander powder ,1/4 tsp sabzi masala a pinch of heeng , salt to taste and mix well. Keep aside. 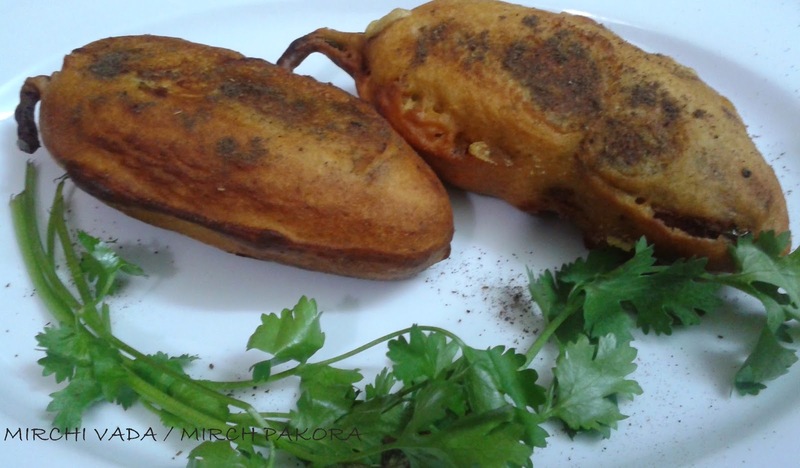 Take chick pea flour in another bowl and add salt ,1/4 tsp degi mirch powder, 1/4 tsp coriander powder ,1/4 tsp sabzi masala, water and mix well , to make a thick batter of coating consistancy. Beat well so that there are no lumps in it ,keep aside for 5-10 minutes . Now scoop out the seeds from the mirchis slit lengthwise and fill them with the potato filling mixture. 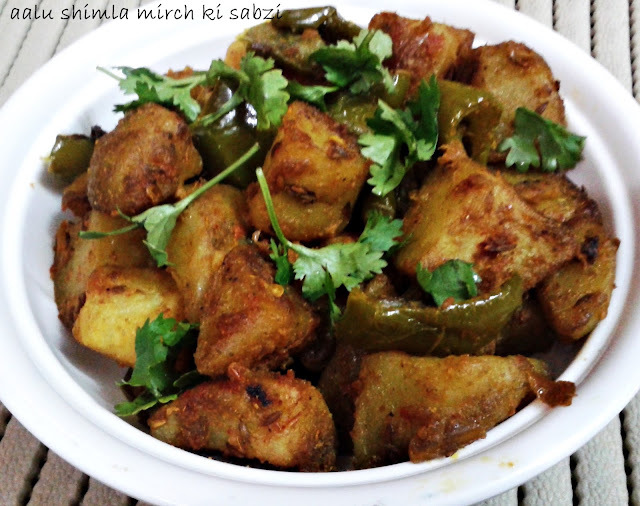 Wrap some of the potato mixture over the mirchi also by lightly pressing the mixture around the mirch with your hand. Now coat the mirchis with the batter , and deep fry them in a wok in hot oil till it becomes light brown in color. Drain out on an absorbant paper and sprinkle chaat masala over it. Peel potatoes, wash them and cut them in cubes or in desired shape. Heat oil in a wok or kadahi and deep fry the potatoes till they become soft.Keep aside. Remove the oil from the kadahi and put cumin seeds in it. When they start to crackle add diced capsicum to it and keep stirring till it becomes tender. Now add bhuna masala, fried potatoes and all the spices along with salt. Mix well and keep covered with a lid on low flame for 5-10 minutes or till it is done. 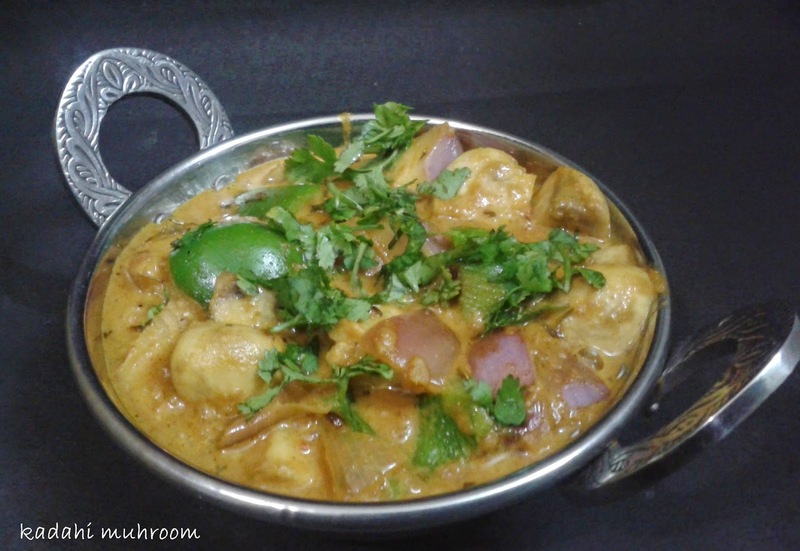 Garnish with coriander leaves and serve along with dal and chapati. Score the bottom of each tomato with a 'X' cut. Don't cut them very deep. Place them in a glass bowl and keep it in microwave on high for 2 minutes. Let them get a bit cool then remove the skin, it will come off very easily. The time taken will depend upon the quality and quantity of tomatoes, i.e. ripe tomatoes will take lesser time than the hard ones and more tomatoes will need more time. Clean, wash and soak the urad dal with enough water for 2 to 3 hours. Drain completely. Combine the urad dal and ¼ cup of water in a mixer and blend into a smooth paste. Transfer the urad dal paste to a bowl, add rest of the ingredients, mix well and knead into a tight dough using water if required. Cover the dough with damp cloth and keep on rest for 10 minutes if you are using wheat flour, in case you are using all purpose flour then keep it on rest for 1 hour in a warm place and in this case you can add 1/8 tsp baking powder also. Make lemon sized balls of the dough. Grease the rolling board lightly with oil and roll each portion into thick circular disks. Heat the oil in a kadhai, deep-fry, these poories till golden brown in colour from both the sides. Serve immediately with cholley or any subzi of your choice. Take whole wheet flour in a big vessel or bowl and mix suji, dry fenugreek leaves,and salt well. Keep the dough on rest for 10-15 minutes under damp cloth. Clean, wash and soak rice for 15-20 minutes. Cook rice with the salt and enough water. When rice is 90% done, drain the water completely, keep the rice aside. In Heavy bottom pan, heat oil and ghee and fry onion slices and drain them out and keep aside for garnishing. Now fry cashew nuts as well and drain them out and keep aside for garnishing. Now add bay leaf, cinnamon stick and peppercorns. Fry for few seconds. Add chopped garlic and cook till golden brown in color. Add ground tomato paste and cook for 2-3 minutes on high heat. Add chopped fenugreek leaves and cook for another 3-4 minutes. Add yoghurt, stir continuously until combined well. Add green chilies, black pepper powder, garam masala powder, salt and lemon juice, mix well. Cook for 2 minutes. Finally add rice over the masala, cover and simmer (dum) for 15-20 minutes or till done.For this keep the pan on a tava on very low flame or in oven in an oven proof dish at 150* C.
Garnish with fried onions and cashewnuts. Serve hot with raita and chutney of your choice or have it just as it is.